Now, promotions have begun for his next as well, as the first single of Superstar's next, his 165th movie Petta directed by Pizza, Jigarthanda fame Karthik Subbaraj was released yesterday, and this song, Marana Mass has become a hit, with Anirudh and SPB crooning it. 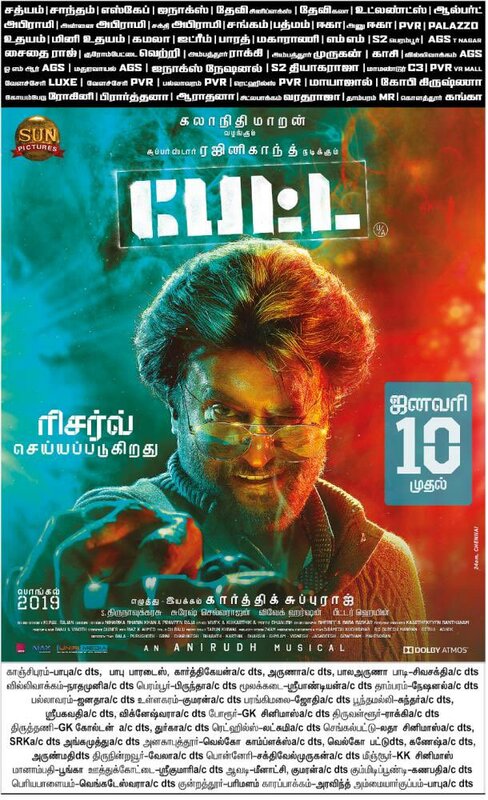 Recently, the team Petta came up with a surprise as they revealed all the character posters. Also starring Trisha, Simran, Bobby Simha, and Nawazuddin Siddiqui, Petta releases on Pongal. A little birdie inside the team revealed that Trisha's Saro character will be the talk of the town.